75 years ago, 1st October 1942, to be precise, the Plymouth Joint Services agreement was commenced and this formed a firm, working relationship, between the Western National Omnibus Company and Plymouth City Transport. This year, 2015, we find our group needing to review its objectives and identity in recognition of the increasing vehicle fleet and interests of our growing membership which is not solely that of the former council undertaking. Thus formally, on 1st October 2015, we became the Plymouth City Transport Preservation Group. This changes nothing for you, our membership, our interest in vehicles of PCT and PCB has not lessened. However we now properly cater for the non PCT PCB vehicles in our fleet and look forward to increasing our appeal and welcoming enthusiasts as we grow and cater for their needs. 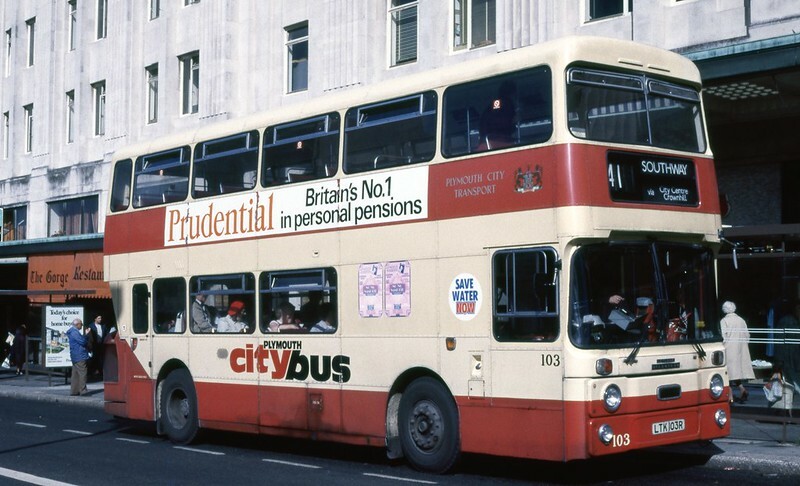 This seems as good a time as any to feature an excellent shot for Plymouth City Transport 103 taken by Andrew Wickham current MD of Go South Coast, formerly of this parish. and then this one from the same time of Western National over at Torpoint. As much as I am fond of the old Atlanteans, they could never compete with the old Bristol VRTs, especially the old flat screen ones like these. Thank to Andrew for the evocative shots! I often thought the two preservation groups should join forces, and how about a transport museum as well? 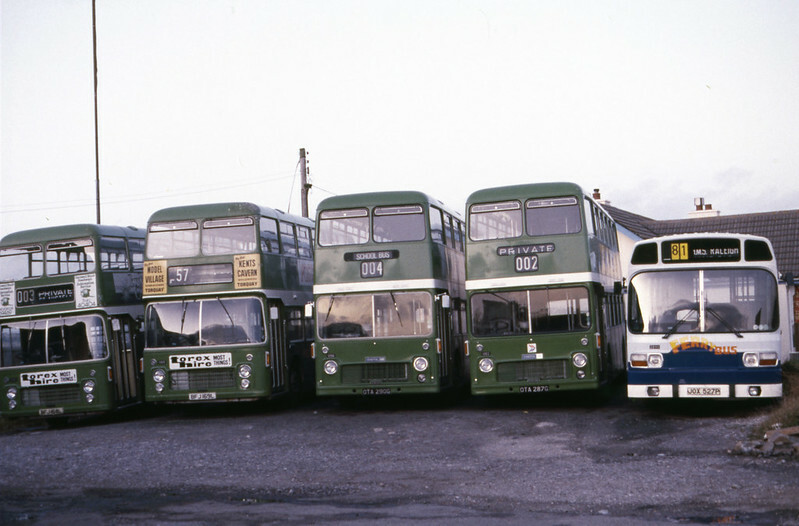 Great pictures by Andrew; I walked past the Torpoint depot on my way to school in the 80s and the four double deck buses were used for school bus specials only, normally joined by a Plaxton coach. Seeing the National in 'Ferrybus' livery brings back happy memories of travelling into Plymouth on a Saturday, providing it would start again after going across the ferry! Then limited stop to set down only into town - a fantastic service in its heyday.